$625. Children love our train rides. 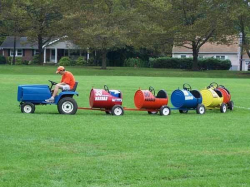 Standard train comes with engine, 6 regular sized train cars and 1 oversized train car that can fit adults. Large flat open area required for this trackless train. Includes 4 hours with operator. 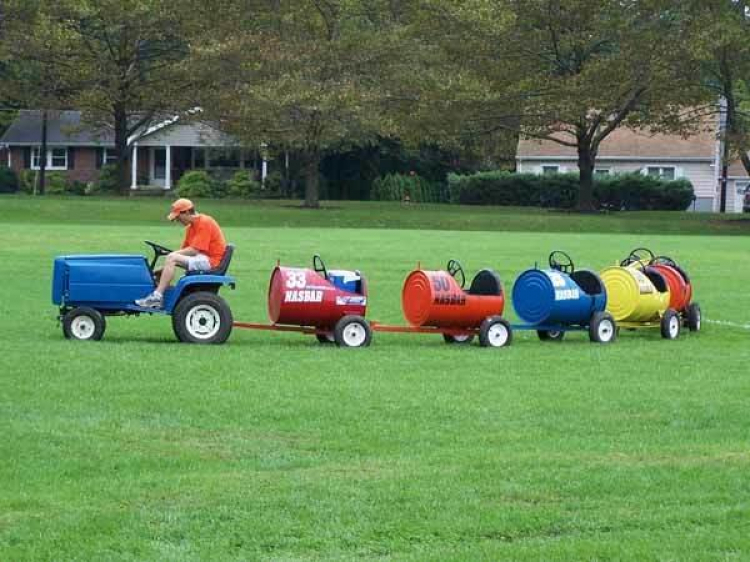 Who doesn't love a train ride..... GREAT ADDITION FOR ANY EVENT!